Rev-Trac and our parent company, Revelation Software Concepts (RSC), collaborate, sponsor and align with leading global organizations to help your business innovate and accelerate digital transformation. Revelation Software Concepts is an SAP Software Solution Partner. SAP Software Solution partners develop applications that extend and add value to SAP solutions, including both value-added and complementary software solutions based on SAP technologies. RSC is a member of BMC Software’s Technology Alliance Program (TAP). The TAP partnership allows Rev-Trac to offer BMC customers running SAP software complementary technologies that ensure maximum integration between BMC’s widely used Remedy Service Desk® and Rev-Trac. RSC is a member of the HP AllianceOne Partner Program. Rev-Trac is an integrated software solution with HP Quality Centre. Rev-Trac’s integration with HP Quality Centre allows for requirements and defects created in HP Quality Centre to be mirrored inside Rev-Trac and vice versa. Each corresponding pair is linked, so updates or modifications performed in one product are automatically reflected in the other. RSC is a partner of SUSE Connect. The program gives customers easy and dependable access to a broad set of software and services supporting SAP solutions from the SUSE partner ecosystem. Using SUSE Linux Enterprise Server for SAP Applications, customers can review a list of products, Web services and special services, and choose the solutions that address their business needs. RSC’s software is tested and certified with SUSE Linux Enterprise. A trial version can be automatically installed to a customer server through the SUSE Linux Enterprise Server for SAP Applications administration framework for free testing. IntelliCorp’s unique intelligent impact analysis software is used by more than 35% of the Fortune 500 companies that run SAP. IntelliCorp develop, market and support LiveCompare, sophisticated analysis and diagnostic software for SAP. When used with Rev-Trac, further automates SAP ALM activities to reduce risks and lower the costs of delivering SAP solution changes. Tricentis Tosca is a Continuous Testing platform that accelerates testing to keep pace with Agile and DevOps. With the industry’s most innovative functional testing technologies, Tricentis Tosca breaks through the barriers experienced with conventional software testing tools. Rev-Trac’s tight integration with Tosca enables in process automated testing with automated approvals or rejections based on test results. Virtual Forge is a leading and independent supplier of SAP Security, Compliance and Quality software. The Virtual Forge CodeProfiler is the solution for ABAP code scanning. It pinpoints critical vulnerabilities in ABAP program code scanning based on a patented global data and control flow analysis and supports the automatic correction of errors. Rev-Trac’s integration with CodeProfiler enables automated, enforceable auditing of ABAP code in key security/compliance, performance and maintainability test domains as part of a standard Quality Control (QC) Process. EPI-USE Labs is a global software solutions company whose products and services enable organisations to accelerate the performance of their SAP and SAP SuccessFactors systems. Through their suite of solutions, they are able to significantly boost productivity in the areas of client and data copying, data security and anonymization (GDPR), reporting, Cloud solutions, and much more. 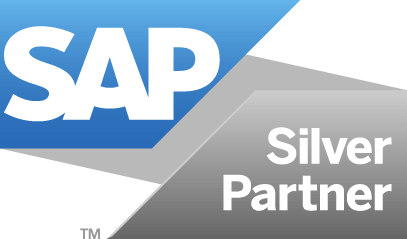 RSC is an Associate Member of the Americas’ SAP Users’ Group (ASUG). The body an independent, volunteer-run organization that facilitates knowledge transfer among the community of SAP customers by providing user-driven educational opportunities, professional networking and a forum that delivers advanced insight on SAP. RSC is a member of the SAP Australian USER Group. The body is a not-for-profit organization whose membership comprises SAP licensed customers, SAP consultants and partners and individuals who have an interest in the SAP environment. RSC is a member of the SAP UK & Ireland User Group. The body provides meetings and discussion forums in a neutral environment where users can network, exchange experiences, and receive presentations from selected relevant companies. SUG UK&I is an independent organization, operated and managed for the benefit of our members.